This Guesthouse is only 2 min from Kagoshima Chuo Station. Many FREE OFFERS - Internet / laundary / bycicle and shower!! Starbucks, convenience store, post office and many shops nearby. Friendly Staff are welcome you. Check-out is 10AM. 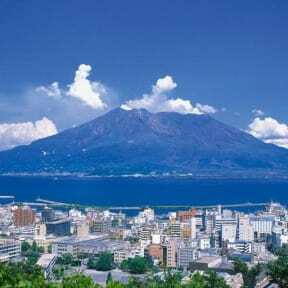 Why not hire a push bike and stroll in the historical Kagoshima town? Many attractions are accessible by bycicle and of course on foot too. *we can keep your luggage before check-in and after check-out. We have no curfew and the entrance is open 24 hours. Smoking not allowed in rooms. 4 min to natural hot spring communal bathouse. 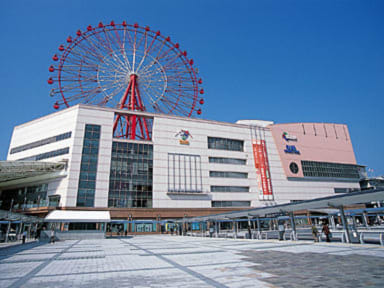 2 minutes on foot from JR Kagoshima Chuo Station West Exit. Decent hostel. It was not really clean but it's quite cheap so that's fair. Cozy commen space and the host was quite nice! Very close to the station. They lack curtains in the female dorm for some reason, so prepare to wake quite early! Noisy, somewhat filthy, early checkout and some weird people hanging around (but by no means everyone). The location was very accessible however. Recommended only for those who want to pay next to nothing for a short stay.